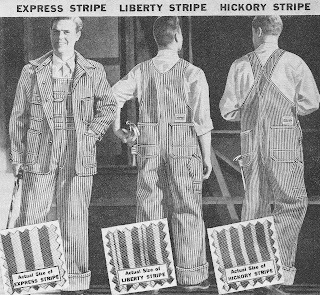 1950's Penney's PAY-DAY Union Made Express Stripe Overall. 1960's Penney's BIG MAC Union Made Express Stripe Zipper Front Overall. 1950's Penney's Big Mac Union Made Liberty Stripe Overall. 1960's RED KAP Liberty Stripe variation work pants. 1960's Lee Union Made Liberty Stripe variation Work Jacket. 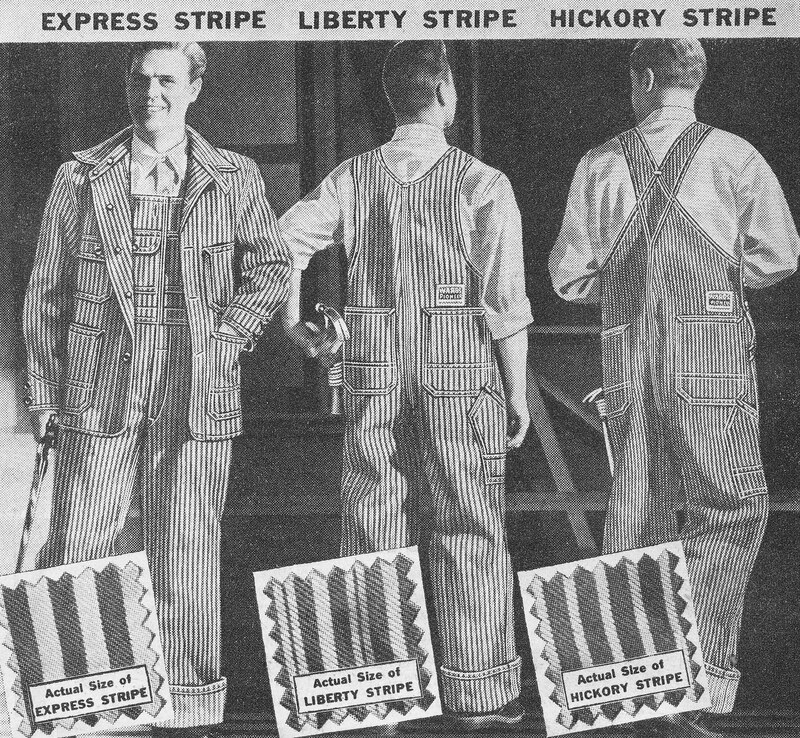 1940's J. C. Penney's BIG MAC "Safe-T-Flap" Hickory Stripe Overall.